Looking for a holiday gift the whole family can enjoy? You might want to consider turning your television into a Smart TV! Apple is more than just the iPhone, iPad, iPod and Mac, it is also TV. 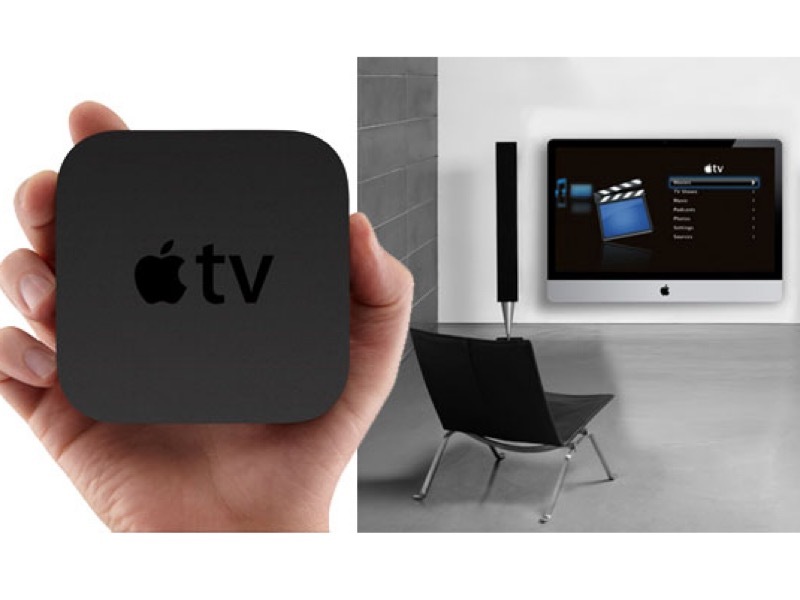 The Apple TV is a small box you plug into your current TV that turns your TV into a smart TV. Apple has just come out with the 4th generation of their Apple TV with some great new features. A Smart TV is a TV that allows for more than just simple channel surfing. Smart TVs give you access to online services like NetFlix and Hulu. With the 4th generation of Apple TV, Apple has taken Smart TVs to a new level. Not only is it fully accessible, unlike most Smart TVs on the market, it has a whole new way to access information, entertainment and gaming. The remote control for the new Apple TV is something that other Smart TVs just do not have. First, the remote has a touch screen so you can use the same gestures you use on your other Apple devices. Next, it has a SIRI button so you can use SIRI to perform actions on your TV like “Find Oscar-nominated movies,” or “turn on the football game.” You can even use the remote as a game controller similar to the controller for the Nintendo Wii. As amazing as the new remote is, that is not all Apple has added to the new Apple TV. The new Apple TV has a new operating system called TVOS. Think of TVOS like Windows for your PC or iOS for your Apple devices. TVOS is based on iOS 9, so it will be similar to other iDevices you have used in the past. Among other things, TVOS gives you access to the App Store. That is right, you can now add apps to your TV like Facebook or perhaps even Peapod Online Shopping. With all these features, it must cost a fortune, right? While a new iPhone starts at $649, the Apple TV costs just $149 with 32 GB of storage or $199 with 64 GB of storage. Hard to believe you can get that much technology for such a small price! I could go on all day about the new Apple TV, but Apple has already done that for us. Check out the Apple TV page to learn more about the 4th generation of Apple TV.